INDUSTRY.co.id - Jakarta - This trading week may be very bearish for gold that slumped to its lowest level this year amid Dollar appreciation. "The depreciation of recent day’s highlights that gold remains very sensitive and negatively correlated with the Dollar," said Lukman Otunuga, Research Analyst at FXTM in Jakarta, Friday (20/07/2018). According to him, market expectations are increasingly high that the Federal Reserve will raise interest rates twice more this year so gold remains an easy target for investors bearish. 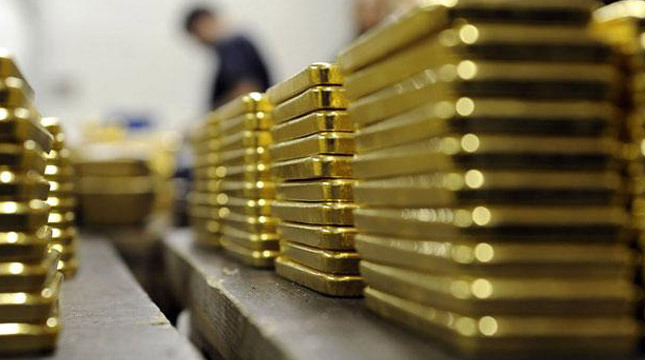 Gold may be further hit unmercifully by the generally strengthening Dollar this week. "From the technical side alone, goldbearish is on the daily chart." Budianharian retains full control below the $ 1236 level, gold has broken below $ 1220 so downside momentum could pave the way to $ 1200, "he said.